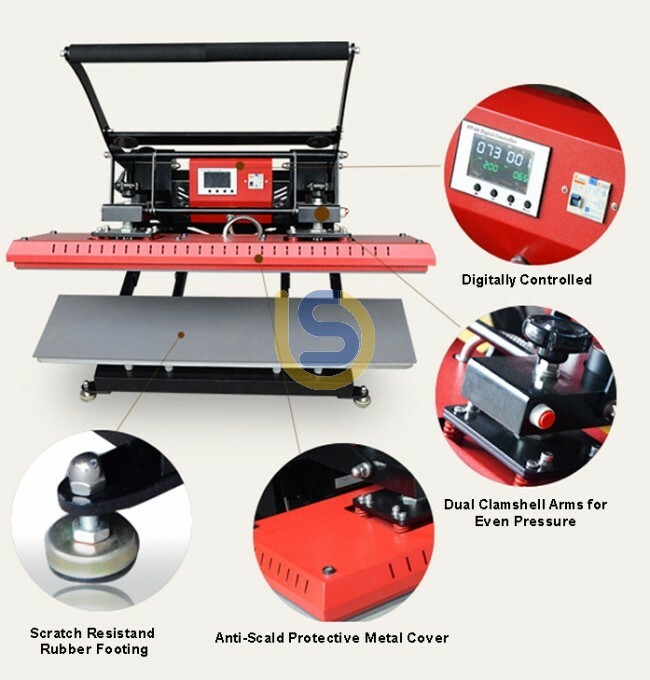 This 40" BS - SEHP100B heat press is specially designed for pressing heat transfer vinyl onto pant legs, sleeves and lanyards. Suitable for sublimation and standard heat transfer vinyls. 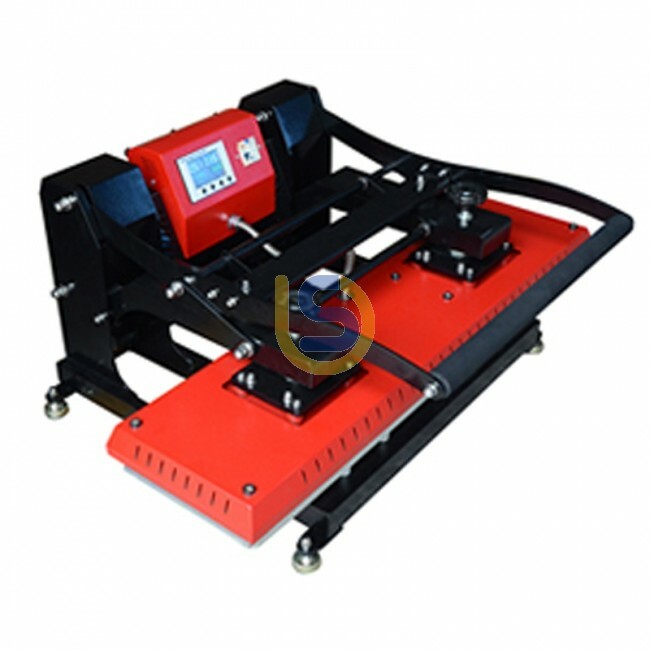 Features two pressure bars for even heat and pressure, aluminium die-casting quality construction. GY06 digital time & temperature controller for simple, safe and reliable operation. High efficiency with low energy consumption and value price.